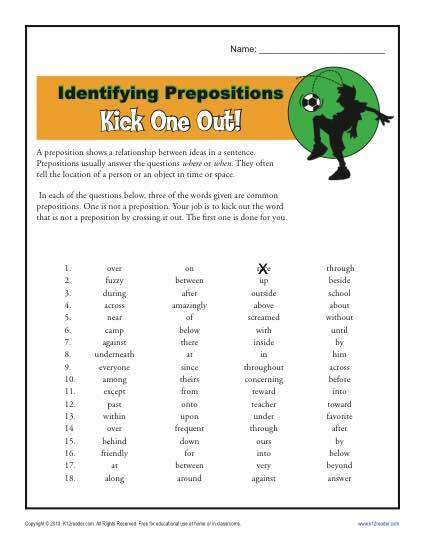 A fun preposition worksheet where students “kick-out” the non-preposition from each row. In each of the questions, three of the words given are common prepositions. One is not a preposition. The student eliminates the word that is not a preposition by crossing it out. This worksheet supports 4th and 5th grade language arts core standards to form and use prepositional phrases and explain their function in sentences.